Federal transportation officials have warned the city of Lincoln that its transit system, StarTran, has shown a “longstanding pattern of non-compliance and disregard for federal procurement requirements” and if the city doesn’t fix problems with the way it makes purchases, it risks losing federal funds. In June, the regional administrator of the Federal Transit Administration informed Mayor Chris Beutler that a triennial review of StarTran – a regular review to ensure federal guidelines are followed – found that the city was deficient in six of the 24 areas reviewed. Five of the six areas related to the procurement process. According to the FTA’s final report on the matter, many of the findings were repeat deficiencies from the last two triennial reviews conducted in 2004 and 2007. Cities with repeat findings are subject to more federal oversight. Both StarTran and the city Purchasing Department share responsibility for ensuring that purchases adhere to federal requirements. In a letter to the mayor, the FTA said, “The disregard of the federal procurement rules is unacceptable and will no longer be tolerated” and “due to the serious nature of the findings associated with the area of procurement,” the FTA would send representatives to Lincoln for an “in-depth procurement systems review” – which is being done this week. While the FTA was satisfied with the city’s response to some issues, it sent the team in to probe more deeply three remaining issues: lacking justification for a non-competitive award; lacking independent cost estimates and failing to verify that barred companies are not participating. A team of three FTA workers were in the city-county purchasing office scouring records on Tuesday, after doing the same in StarTran offices on Monday. The FTA said failure to meet deadlines for correcting the deficiencies “may put StarTran at risk for receiving future” mass transit grants or being suspended from drawing funds from existing grants. However, in a letter to City Council members on Tuesday, Public Works Director Greg MacLean said the city is not at risk of losing federal funds. Beginning in mid-June, the city was required to give the regional FTA office a copy of all solicitation packages for any future purchases that use FTA money prior to soliciting bids. On Monday, StarTran head Larry Worth characterized the FTA review as “typical” and akin to an IRS audit finding issues. However, he also acknowledged that StarTran had never before been subject to an in-depth review (as is being done now) in his 15-year tenure. • The city did not perform an independent cost estimate for any of the five procurements reviewed during an FTA site visit – including the purchase of a bus wash system and digital video equipment. 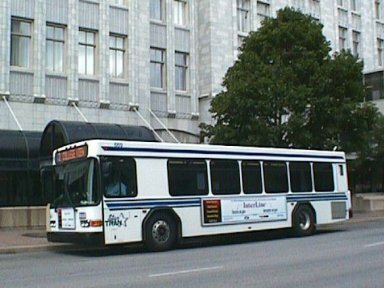 • The city could not document that it performed an independent cost estimate for the purchase of a bus wash system purchased with federal stimulus funds. • The city did not perform a cost/price analysis for bids evaluated – a repeat finding from the last review. • The city didn’t have sufficient documentation for the award of three single bid contracts. • The city couldn’t provide evidence it ensures excluded (debarred or suspended) companies aren’t participating in federal purchases. • Recipients of federal grants and contracts worth more than $100,000 did not have language in their contract certifying compliance with lobbying restrictions. To read the entire report, click on 2010 StarTrans Triennial Review. Camp’s going to run. There, I said it. The Journal Star says no Republicans have stepped forward to challenge Mayor Chris Beutler in the spring election. But I fully expect Councilman Jon Camp to be the one to take on Beutler this time around. Oh, sure, Councilman John Spatz has allowed speculation about his possible candidacy, but in the end, I don’t believe Spatz will do it. He has not distinguished himself from Beutler on any major issues that I can recall. Camp, on the other hand, has waited for this chance for a long time. He wanted to run against Coleen Seng, but stepped aside to allow his colleague Glenn Friendt to take what was believed to be a sure shot, and fail. He wanted to run against Beutler, too, but stepped aside to allow his colleague Ken Svoboda to take a shot, and fail. I don’t think Camp will step aside for anyone this time — much less a junior councilman like Spatz. During his time on the council, Camp has been the mayor’s (pick a mayor, any mayor) chief adversary — asking questions, nitpicking details and hounding the fire department and ambulance service at every opportunity. Beutler has tamed Camp a bit, but there is still a tiger inside, waiting to pounce on Beutler in a brawl. The only reason Camp may hesitate is he’d have to give up his council seat, which is also up for election in the spring. But I don’t think Camp can resist the temptation to take on Beutler. The others will have to step aside this time.